One of China’s largest online retailers is jumping into the restaurant game. JD.com recently opened China’s “first completely automated café” in Tianjin. At the XCafe in the Sino-Singapore Eco-city center, everything from ordering, cooking, serving and cleaning is all taken care of by robots and artificial intelligence. The process is pretty simple. A customer places an order via a touchscreen at the table. A signal is then sent to the kitchen where bots prepare and cook the food. 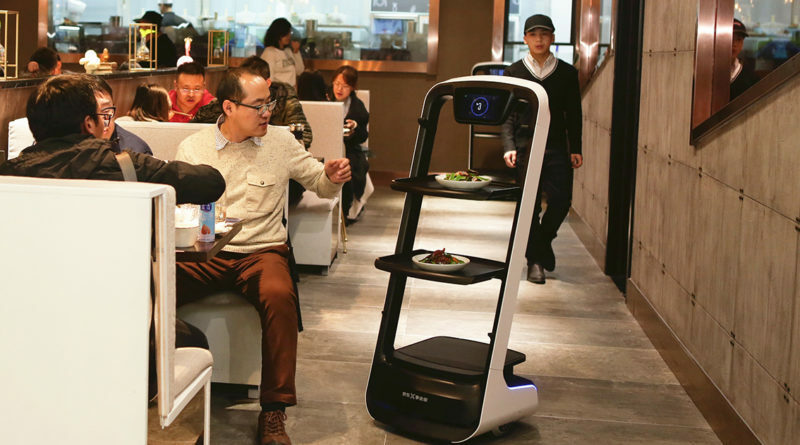 Once the order is ready, robot waiters deliver the meal to the hungry customers. Onboard sensors, cameras, and GPS help the bots navigate the restaurant and avoid any obstacles that get in their way. Robots can last all day on one charge. The XCafe is not fully automated yet as there are still a few humans on site to do things like refill ingredients and be a backup in case a complex problem arises. The restaurant currently serves about 40 different meals but is hoping to up the number to 200 unique dishes. If you want to take a break from eating, there is even an interactive Virtual Reality gaming area. 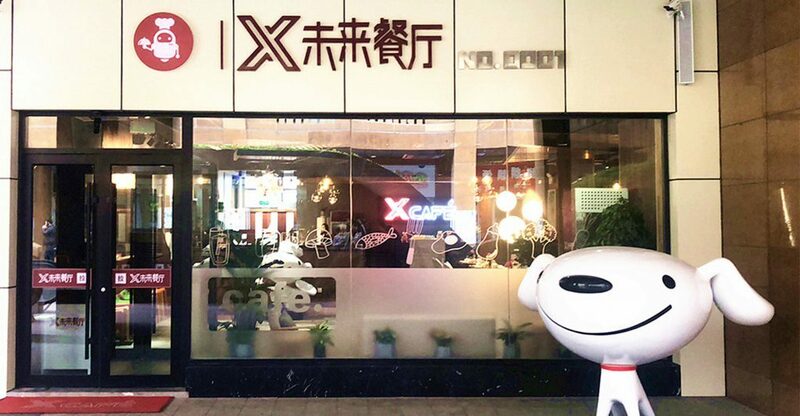 XCafe and its robots have been a hit with customers but JD.com is also using the restaurant as a showcase for its automation technology. They feel the tech could prove useful to catering companies, hotel chains, and grocers. JD.com announced back in June that they are planning to open 1000 restaurants fully staffed by robots by 2020. The company’s main competitor Alibaba has its own automated eateries with the Hema grocery chain along with a robot run restaurant in Shanghai. Check out our articles on robots making your coffee in San Francisco and ones that work at grocery stores in Singapore.